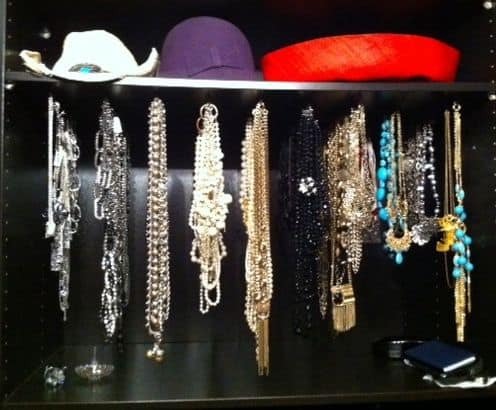 Not only does my friend Tess throw an amazing party, but she has the most fantastic closet I’ve ever seen in real life. She hosted a seriously yummy dinner Saturday night, and, yes, the food was fantastic – but I can’t stop thinking about this closet! Who needs a master bedroom? 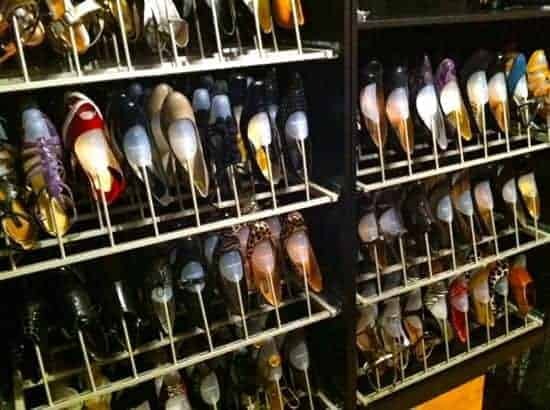 Not if you have this many fabulous shoes to look at! How fun would this make getting ready in the morning? very nice closet! My one pair of shoes would be awfully lonely in that big space…. It would be so much fun I wouldn't want to leave. WOW. LOVEEEE-LY!!! These photos are going up on our fridge door labeled, "Maria's Christmas Wish List"
This is the definition of a dream closet! Her shoe collection is fantastic. This is a reeaaal closet? I want one!!! :D I could sit in there for hours!! Oh my gosh that closet is swoon-worthy!!! I would LOVE to have a closet like that. It reminds me of the closet in Clueless! Oh BOY!!! I would die to have a closet like this!! and a place to hang all of my many shoe fanatic heels!! Reminds me of Ikea's closet organizations! I am soo jealous right now. Oh I'd be in heaven…. WOA WOA!!! I would like to live in there! It is so amazing and huge…she may not even notice :) This is seriously pretty amazing! And man she is organized…my closet is one big disaster zone lol! Wow, I can't imagine having an island in my closet. That space is awesome! This closet is OFF THE HOOK! I want one! Oh my! I am experiencing closet envy right now. I'd happily sleep there, too!